Access a range of preloaded applications and custom widgets. Print fast at speeds of up to 25 ppm and boost productivity. Enjoy Preloaded Applications and Widgets It’s all about convenience and flow. Your favourite applications such as Copy Scan / Send Box Job Status Address Book and Help come preloaded while custom widgets provide instant access to frequently used functions. Powers printing at 25 pages per minute (ppm). 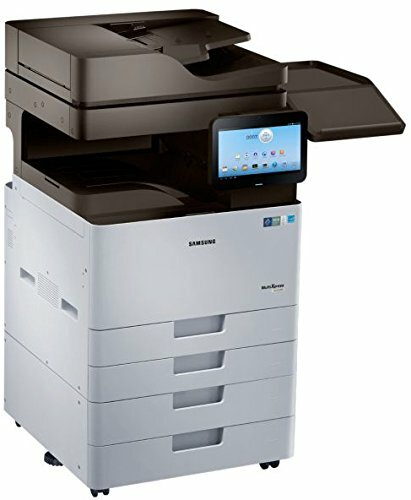 With high-performance speed printing businesses can work smoothly and operate more efficiently Stand out with Sharp High-Quality Print Output Samsung?s unique Rendering Engine for Clean Page (Re CP) technology delivers sharper text and cleaner images. Save Resources with low TCO Printing Reduce labour costs for heavy printing with ultra-high-yield toner cartridges and drums.